You will find a copious assortment of recipes featuring regional specialities, set menus, suggestions for the shopping list, kitchen tools, tips and tricks, and more! 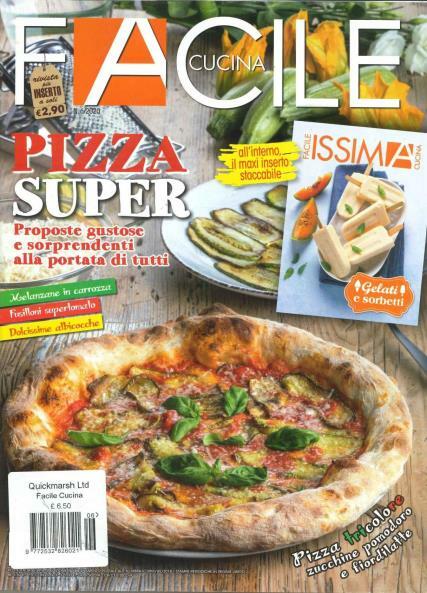 Each issue of Facile Cucina consists of simple irresistible recipes with the best of the best cuisine. The magazine is designed to create the simplest recipes, making it easy for anyone to follow – the title even translates to easy cooking!